Every industry contains various crucial aspects that need to be constantly monitored. Check our products by industry. Manage your VELP product with an online Account. Register and get exclusive benefits, including direct assistance, short response for service and rapid spare parts identification. VELP has started "going green" and this includes the way we produce energy and our products. Earth needs OUR help. 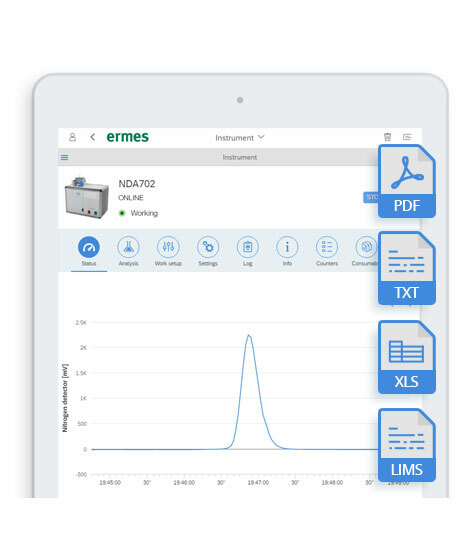 Improve your laboratory experience with secure VELP Ermes Cloud Platform and access to your VELP instruments working conditions and data anytime and anywhere. 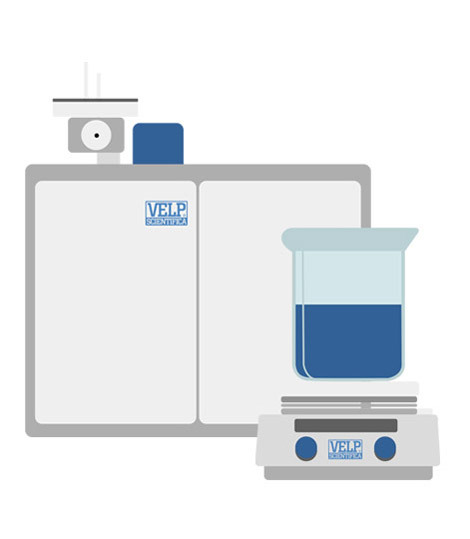 Monitor and manage multiple instruments and consumables 24/7 from your pc, tablet or smartphone with VELP Ermes. Real time visualization of your analysis and of your instrument working conditions. 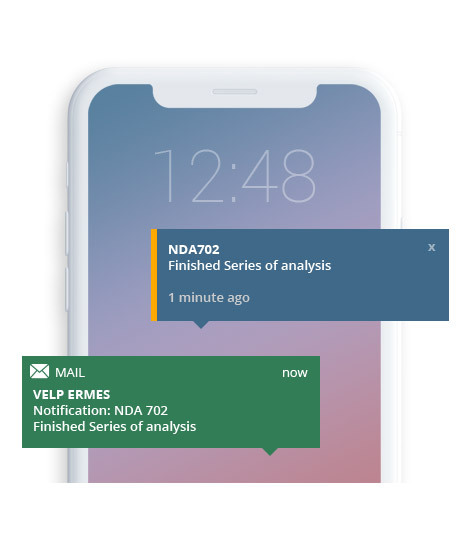 Receive immediate event and alert notifications based on your setting within the platform and via email. VELP Ermes guarantees peace of mind and total control of your VELP instruments thanks to the remote stop of the instrument. VELP Ermes collects and stores your data with the maximum level of encryption following the highest cyber-security standards. You are now able to have access to your primary and secondary data anytime, anywhere. Effortlessly connect your VELP instrument to VELP Ermes cloud platform via secure Wi-Fi or cable. Create your account, start surfing the platform and easily get the software updates for your instruments. 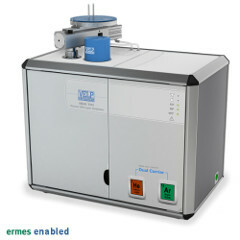 With VELP Ermes you will reduce your daily manual tasks. 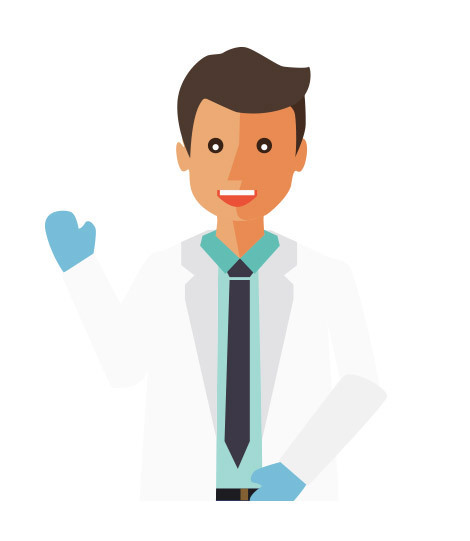 Thanks to VELP Ermes Laboratory Management and User Management be sure to share and grant access to instruments and data to specific people in your organization by customizing your users and groups permissions. Get access to your results, create reports and easily share them with your peers in different file formats (excel, csv, pdf, LIMS etc.). Track Trends and get Insights on your scientific work. VELP Ermes DB in cloud with data center based in Europe. 24/7 global support and 99,9% system availability over any calendar month. 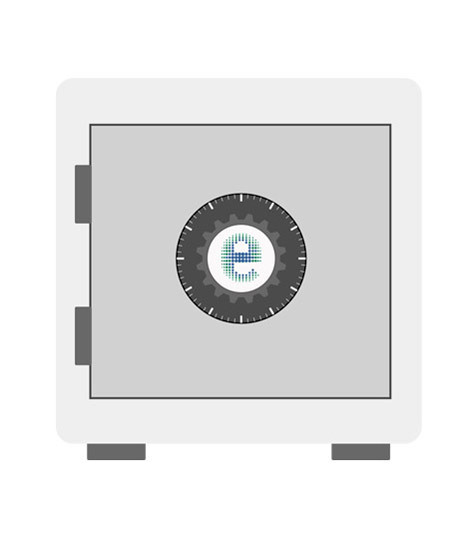 What Security Level can Ermes provide? 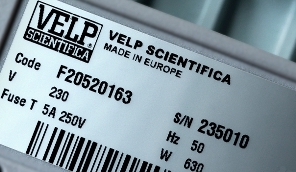 VELP Ermes runs only in secure and certified environments, with certified operations, advanced network security, and reliable data backup, accordingly with various security and data privacy standards (ISO 27001, SOC 1 SSAE 16, SOC 1 Type 1, SOC 1 Type 2).In addition to the security, VELP Ermes implements additional security in all communications between instruments or users and the cloud is encrypted using the HTTPS protocol. What browser do I need to use to have access to the platform? Can I access from mobile and tablet? Yes, VELP Ermes is a WEB App and requires only a browser. 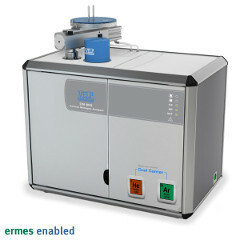 What are the general lab requirements to have secure access to VELP Ermes? Which is the minimum required Wi-Fi signal strength? 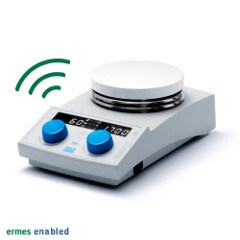 The instrument must be within the signal range of the router, Be sure, before you get a Ermes-enabled instrument that the working site is provided with a Wi-Fi network. Do you suggest any way to improve Wi-Fi signal strength? Yes, VELP suggestion s to add an additional router on-site to enhance the signal strength. 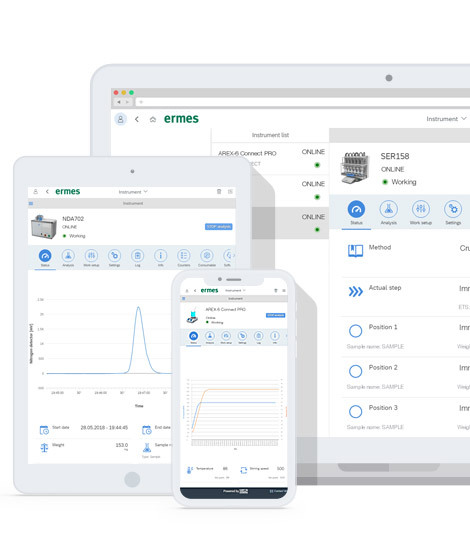 Is possible to upgrade my VELP product and connect to Ermes platform? For NDA series and SER 158 is possible to upgrade the instrument to connect it to VELP Ermes platform with the exception of NDA Series products with DUMASoft version 2.2 or older. How do I configure my instrument? First operation is to create a VELP account if not yet available. By accessing to your VELP Profile you can configure your VELP Ermes account to access the platform. 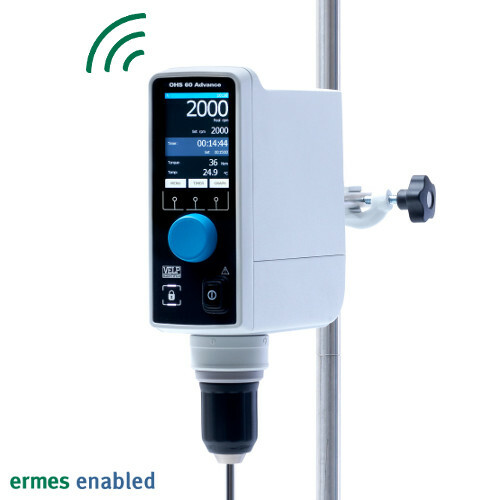 Once the VELP Ermes account is created is possible to connect your instrument by following a fast procedure in Ermes platform. There is no limit to the instruments connection and management. 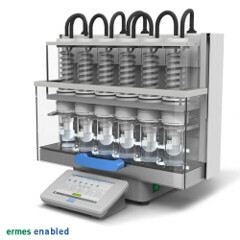 How many products can I connect with 1 Ermes Card? Does the Ermes Card have an expiration Date? Yes, the Ermes card needs to be redeemed within 2 years from the purchase date. How can I activate the Trial? Is it possible to read Terms and Conditions of VELP Ermes?